Everyone has a favorite movie and mine is “Groundhog Day.” I’ve watched it at least a half a dozen times, which is fitting since the premise of the film is that if you have the opportunity to do something over and over again, you have the ability to achieve perfection. Or at the very least, a happy ending. It stars one of my favorite actors, Bill Murray, cast an ornery television meteorologist named Phil, who is sent to cover Groundhog’s Day in Punxsutawney Pa. He awakes the following morning only to discover he must relive Groundhog’s Day. As the movie progresses, a very irritable Phil starts to enjoy his fate, as he realizes he can use the knowledge he gains each day to enhance his experience the following day. It reminds me of a play you rehearse again and again until the actors have learned their lines and the technical cast their cues, until magically everything is in sync. Our world has changed dramatically since “Groundhog Day” was released 20 years ago. Technological advances have made it easier to send photographs, messages, music, and video around the globe in a matter of seconds. Suddenly, with the aid of a device we can hold in the palm of our hand, we are all recording our experiences and sharing them in a variety of ways. The possibilities are endless. And while the captured moments we record may not achieve the polish of a scripted film or documentary, we have the freedom to experiment with little out-of-pocket cost. And if we work at it, again and again, some of us can become good videographers. We also start developing an appreciation of what it takes to make a professional film. 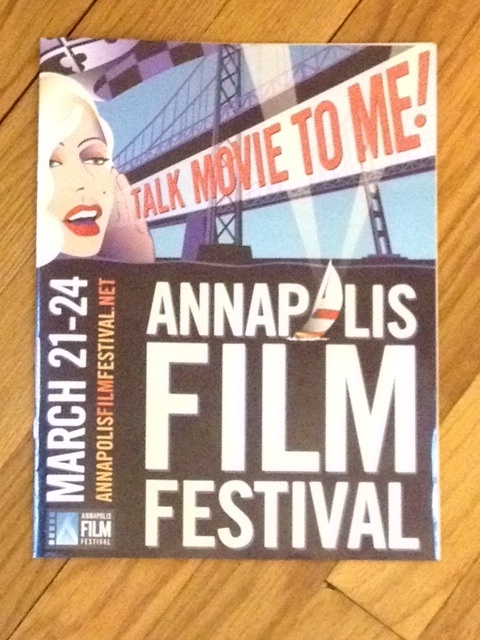 Here in Annapolis, Maryland, this weekend, we have the opportunity to meet aspiring and accomplished film producers, directors, and screenwriters from all over the world at the First Annual Annapolis Film Festival, through Sunday March 24th. It’s a chance to learn more about the business and art of making movies, as well as the ability to see and discuss a multitude of films. Remember that even if you think you don’t have enough time to participate, you could just go for a day or afternoon. In the movie, “Groundhog Day,” Bill Murray has the luxury of never running out of time, until he wakes up one morning in bed with news producer Rita (Andie McDowell), with whom he has fallen in love, and time moves forward again. Before his Groundhog day experience he was just too rushed to stop and contemplate what it was all about? Sound familiar? And maybe just maybe the cold weather will dissipate and warmer temperatures will come back and we can feel like its really Spring! Like gardens? 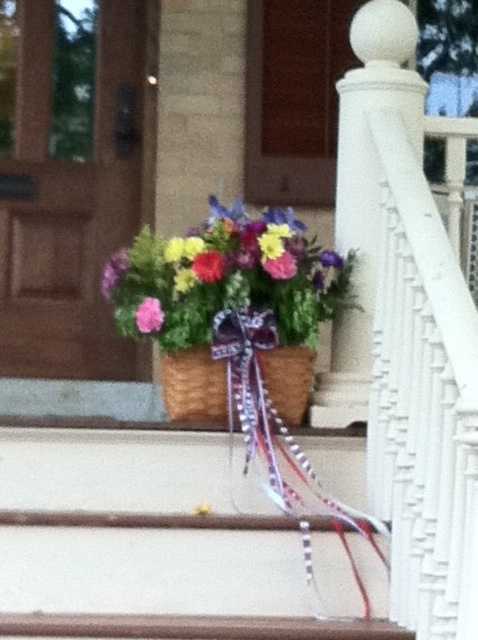 This weekend the Hammond Harwood House Secret Garden Tour takes place in the neighborhood of Murray Hill in Annapolis, Maryland. There may still be tickets available for the tour that goes from moon to 5:00 p.m. Saturday and Sunday. The Kansas City Barbeque Society is coming back to town, Naptown that is, known by some as Annapolis, Maryland. Mark May 4th and 5th on your calendar, if you love barbeque. It’s been a while since I’ve attended a Parole Rotary breakfast. The club meets at the Doubletree Inn on Tuesdays at 7:30 a.m. I came as the guest of my husband Peter Crilly, who was forced to miss a number of meetings last fall due to my back injury. But now that 2012 is underway, and we are getting the schedule off to a correct start, so to make up for all the meetings missed, we both attended. First subject of importance was the May Naptown barBayq and since the funds raised at that event are going to two good causes–the Anne Arundel Medical Center Pediatrics Emergency Inpatient Unit and the Boys & Girls Clubs of Annapolis & Anne Arundel County– I will make the event the subject of today’s posting. First off, if you happen to be reading this and are a business, the Parole Rotary Foundation is looking for sponsors to help support this event. There is no exclusivity of sponsorships this year, so if you’d like to support the event, please contact the club directly. Second off, the event which was held last year at the U.S. Naval Academy Stadium has a new location. It is being held the first weekend in May at the Anne Arundel County Fairgrounds. Twenty-five live bands will be playing music on two stages. Admission is only $5 and children under the age of 12 are free. Competing barbeque teams will be competing for $9,000 in prizes. This is serious business. 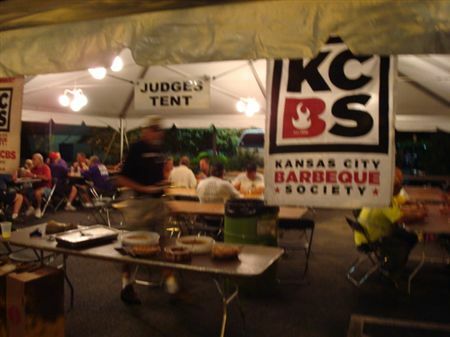 Competing teams, devotees of “the art of barbequing” travel for hundreds of miles to participate in these competitions. As an attendee you’ll be able to sample and buy, particularly if you purchase a VIP ticket for $25 in advance or $35 at the door. You’ll also be able to purchase a variety of food and beverages, depending on your preference. This year numerous regional artists and craftsmen will also take part in the festivities offering jewelry, pottery, photography, artwork and more. There will be a Corn Hole Tournament and other family-oriented activities. On Saturday, there will be a Special Kid’s Korral featuring moon bounces, obstacle courses, spin art, face painting, special entertainment according to the Rotary barBayq website.